For most homeowners, your mortgage is your single largest source of personal debt. Mortgage Protection insurance is a specialized life insurance policy from one of a number of the top-rated insurance carriers we represent, which is designed to make your mortgage payments, or pay off the mortgage entirely, in the event of your death. Mortgage Protection insurance protects you and your family for a specific period of time, usually the length of your mortgage term. Unlike the coverage that some banks may offer, even if you refinance your mortgage with another lender, or if your loan is sold to another banking institution, your coverage is portable and can remain if place throughout the term of your mortgage loan. We will design your program so that if the covered primary income earner(s) die during the mortgage term, the death benefit will be paid to the surviving family members, who can then use the funds to pay off the balance of the mortgage. Even though your mortgage balance will decline over time as you pay it down, your beneficiaries will still receive the full amount of the Mortgage Protection coverage. Any amount left over after paying off the mortgage loan can be used for any other purpose they see fit. It's your coverage, and we want them to get every last penny of it. Mortgage Protection insurance is not generally used for income replacement, estate planning needs or charitable giving strategies; but we have other programs to take care of those needs. 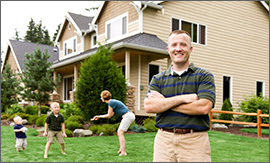 Our goal with Mortgage Protection is to insure that your single, largest asset is safe and covered, so no matter the circumstances; cancer, stroke, heart attack, injury, death... your family will never be in jeopardy of losing their home as long as you have kept your Mortgage Protection insurance plan in place. You work hard to provide for and protect your loved ones in every walk of life. Isn't it time that you find out how an affordable Mortgage Protection program from Legacy Life can give you peace of mind and security knowing that you have given your family one of the greatest gifts they could ever receive... the guarantee that their home will always be there for them... even if you can't be? We are independent, licensed and state regulated Mortgage Protection specialists that shop through all the top carriers to find the right plan for you... and at NO COST TO YOU! We work with the top insurance companies, but we aren't employed by them or held "captive" by them so we are free to find and choose the best coverage for you that meets your needs and fits your budget. We come to you and work with you in person to help you make the right choice, and then we complete all the necessary paperwork and watch over your application until the policy is issued and we deliver it to you.